You'll need more than good fortune to pass if you haven't set up a blog yet. "What do you mean 'a real computer'? Are you implying this can't do everything?" I'm pretty shocked that, this late into the school year, there are still students who have yet to set up a Blogger blog for displaying their public classwork. 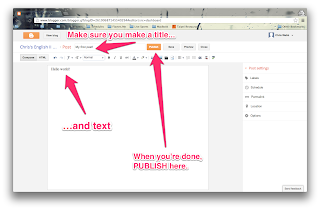 If you have yet to do that yet (or you're just curious about how to do it), here's my How-To. WARNING: you can do this process on your iPads, although I find it much easier to do on a real computer. However, when it comes to actually making blog posts, I'd strongly suggest that you use Blogsy, the app that I'm very willing to buy you with your money if you just let me know. 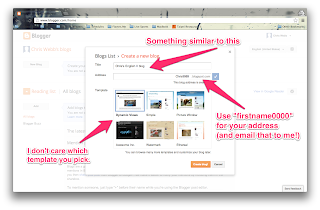 For step-by-step instructions on how to set up Blogsy, check out this post. 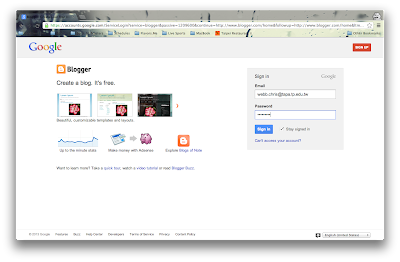 Log in to Blogger.com. You may use your TAPA email information or your own Google login. If the next page asks you if you want to connect to Google Plus, tell it no. I don't have a screenshot, but skip it. You don't want that setting on. 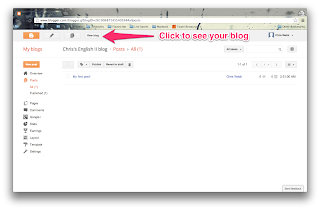 When you see this page, click on "New blog" to make a new blog. Duh. For the title, you can use something simple like "Bobby's British Blog" or "Alex's American Lit Arena" or "Erin's English II Place" or something like that. For the address, I prefer your first name and ID number (e.g. Chris9989.blogspot.com). For the template, I don't care. Pick whichever one you want, and later, you can change it to something cooler. 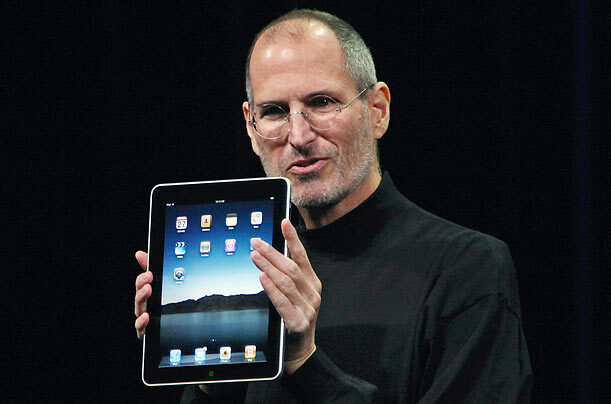 When you're done, click Create Blog! . WARNING: For your own safety, please don't use your first and last name anywhere on here. You can use Firstname and LastnameInitial (e.g. ChrisW, not Chris Webb). There are lots of creepy people online, and while they can find you if they want to bad enough, let's not make it easy on them. 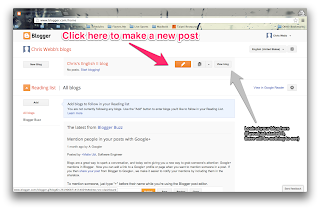 Now that you're blog is completed, do a sample post. 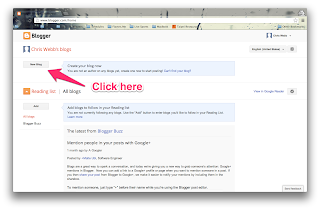 Again, this is way easier to do with Blogsy, but for this first time, the website is fine. Make your first post. Be sure to include a title, the body text, and images so you get full TOAST points. And when you're done, don't forget to publish it. Check your work. Once you've published it, you'll get to this screen. Click on View Blog to see your final page. Ok? Ok! 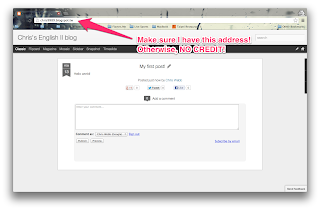 Make sure your blogs are set up and ready to go!